Our personalized rubber bracelets are a popular item for fundraising and are a great way to show support for an important cause. We carry a variety of colors, price options, and styles, allowing you to choose bracelets that best match your cause or intended audience. 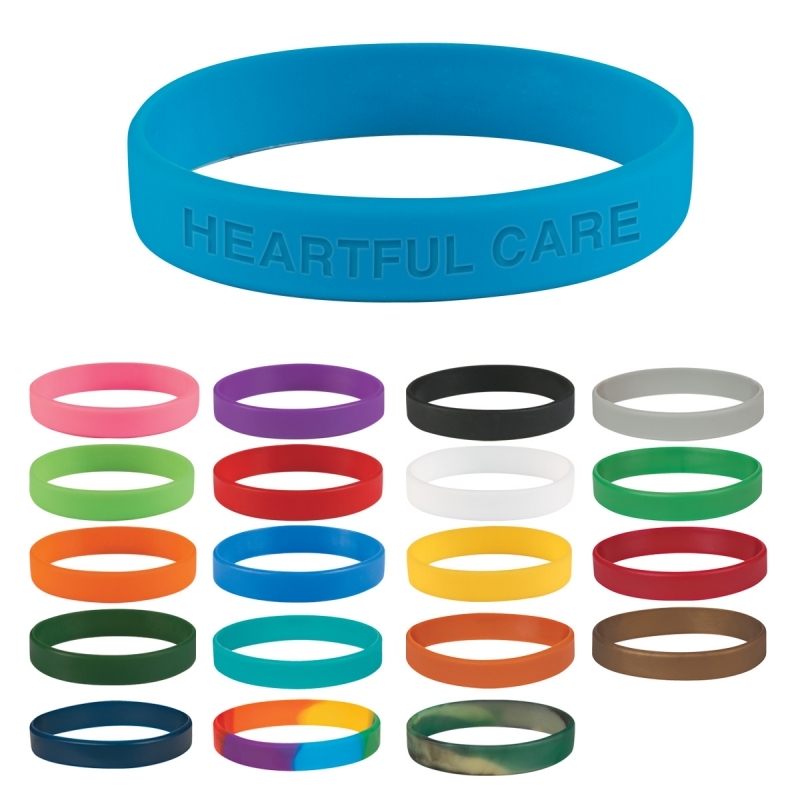 Our silicone bracelets are an affordable, classic option that can be easily customized with your message or brand. We also carry a variety of custom t-shirts to pair with your awareness bracelets, a perfect fundraising duo! The minimum on the style shown (left) is 500 pieces and starts at about $1.90 each. Of course the more you purchase the lower the price! Contact us for a quote !